Postcode Finder NZ - call the free post code API from your website, application or mobile software. Address Finder NZ - use pre-built address validation widgets on your WooCommerce, BigCommerce, Shopify or custom online stores to find nz addresses with predictive, autocomplete, fuzzy address matching. Why are there multiple postcodes for a suburb or area? Use the NZ Address Finder to locate the right postcode for an address. Postcodes areas are defined by NZ Post and suburbs are defined by local councils and Land Information New Zealand. A suburb can span across multiple postal code boundaries and multiple suburbs can also share the post code. As shown on the google street map image, the property in Kitchener Road is on the postcode boundary between Takapuna (0622) and Milford (0620). 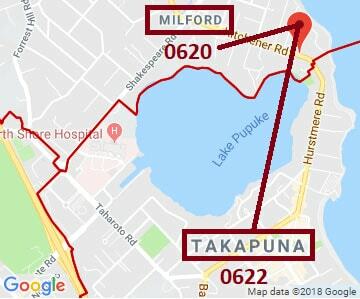 The postcode for the address is 0620 (Milford) but the suburb is Takapuna.